And i stumble and i lumber. without it fatigue and confusion looms. He searches through the darkness. For the beauty left behind. That after all he is himself. He and himself escaped its madness. Recently i’ve been trying to look at everything in a positive way and so far, its working quite nicely. Obviously there are some things which are certainly harder to look at positively, and others that just will never be a good thing, but simply trying is one step further away from being a grumpy pessimist. So what was it that made me want to think more positively? bluntly put, i had been depressed. For quite a long time at that. After spending a few years of thinking everything and everyone is against you in some way, one may consider it impossible to see the world in a good light again. Trust me, its not. In fact, it allows you to appreciate it in a way you would not even be able to imagine if you hadn’t gone through a rough spot. 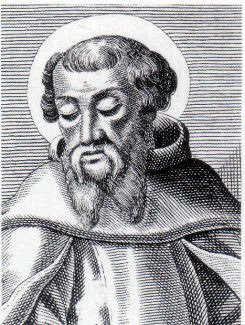 A theologian named Irenaeus, for example, believed that we had to experience suffering as a form of ‘soul making’ in order to better ourselves and ultimately bring us closer to God. As i am not a believer in God (at least not in a traditional manner), I don’t see this soul making concept in regards to god, but there is certainly something to say about it to describe how suffering can bring the best out in us. What happened after coming through that rough spot? For me, I found i had learnt alot from suffering; perhaps the biggest thing being that i have something to compare good experiences to. I also rediscovered what was really important to me, and in this way i would actually say that being depressed was important in finding a positive way of thought. This comes straight back to Irenaeus and his soul making; it looks like his idea may have had some truth in it. Because of the apparent truth in Irenaeus’ words, I can say that I believe suffering to be a fundamental part of positive thinking. It may seem odd that the complete opposite of what good is, also is a fundamental part of good itself, but consider that without evil, good cannot exist. So in order to become a positive thinker, you must acknowledge the importance of suffering and evil. 1. Acknowledge that not everything is good, as it can’t be good without something bad to contrast it. 2. Anything that you consider bad, think about whether or not something good could come from it. For example, many may consider a volcanic eruption a cause of suffering and damage, but it also creates incredibly fertile land able to support life. 3. Realise your goals and go for them. nothing is more positive than success. You will probably suffer while trying to reach the goals, but in the end that suffering was a fundamental part of reaching it. I was listening to a song called ‘time flies’ by a favourite band of mine called porcupine tree (if you don’t know them, check them out) when i realised-Time really does fly, and in the words of the song, “the best thing you can do is take whatever comes to you”. A common phrase is “there’s no time like the present”, but when you think about it how long is the present? 5 seconds away is still technically the future. there really isn’t a present; only the future. And if you look at time like that, it really accentuates the point that time flies. Sure, everyone has to plan their future, but they also need to act their future. Even if you start something now, it won’t be finished until later. therefore whatever the most important thing for you to do is, it should be done as soon as possible, because even now is the future from when you readed the last sentence on this blog. And back to that line i took from ‘time flies’. Think of how many opportunities you have come across that you have ignored. It could be something as big as a job opportunity or as small as smiling at someone that could really have done with a smile. For every missed opportunity, big or small, you may have had wasted time where it could have been used for something better. So lets all try to accept as many opportunities that come our way as is possible. You will probably end up being better for it, and so will many others influenced by the changes you show to the world. Theres quite a lot of us on this planet. Just think what would happen if everyone used their time better. I’m sure most people get told how they should balance their work and rest to make it more manageable. But just how do you fit in everything there is to do? I hear people often complain about a heavy workload, but look at it this way-with a lot of work, you improve and the more work you put in now, either it will be easier later or you will achieve more overall. Even when reaching a deadline, there is more to life than school work, business, or whatever work you happen to do. You simply won’t be engaged on your deadline with endless focus on it alone. If you have multiple deadlines, don’t work on one then the next but instead swap between them in order to keep them feeling fresh and interesting. Don’t stop your hobbies temporarily to make time for something ‘more important’. Its ok to reduce the amount of time you spend on a hobby, but if you are passionate about something you should never stop. You may look back one day to find that you have lost time for it forever. Always set yourself goals. Without them you have no idea where you are going and therefore can’t balance your time efficiently. And heres just a thought i had today. Plato came up with an analogy for the link between the body, mind and soul, called the analogy of the charioteer. He describes the body and mind to be two horses, that wish to run in opposite directions, only being held together by the charioteer, who symbolises the soul. Essentially what Plato is saying in this analogy is that the body and mind have conflicting ideas, but the soul keeps them together. Whether or not you like this concept or not, i think that his analogy works rather well for the balance of work. Your mind wants to work and your body makes you procrastinate, however there is something that makes you eventually bottle down and do that work. Now in that analogy, swap your soul for your passion and ambitions and it makes sense. It is in the end (or at least should be) your ambitions that make you want to work, and also what takes you away from the tv and one stop closer to your dreams. Your soul is your ambition. This first post is more of a test than anything else, but I may as well write about something. Today was the first School exam of the year, and interestingly enough considering what this blog about, it was a philosophy exam. So of course recently i have been in exam mode, with revision being my life for a few weeks prior to now. Now that the exam is over, it is quite nice to be able to reflect on the effect an exam has on you. Exams shouldn’t just be about getting the grades you need to get somewhere else-its a time to discover what you actually have learned, and the revision period is a way of making sure that knowledge stays there. I know first hand that you simply MUST get more out of an exam than just a grade, having done poorly last year. I may have not done so well in science subjects, but despite that I learnt. After all, you learn just as much from not succeeding than you do succeeding first time. You may even learn more.